The average person in the UK can expect a state pension that equates to one third of the average wage. 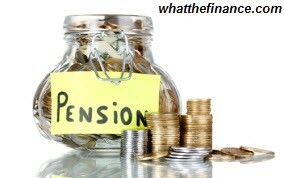 Therefore, for most some form of private retirement fund is a necessity. As the popularity of pensions waxes and wanes, people are looking into different ways of saving for their retirement. Investing in property and ISAs are the most common alternatives. All three of these options have their advantages and disadvantages making it difficult to decide which is the safest bet for a secure retirement fund. In recent times, with the fall in interest rates and erratic behaviour on the stock market, the solidarity offered by investing in bricks and mortar has become an attractive option for savers. According to a survey conducted by The Observer, one in three respondents stated that they are planning to rely on money invested in property for their retirement fund. Many people investing in buy-to-let property are not so concerned about the value of the property increasing to provide their nest egg as they are planning on living on the rent collected from leasing the property. As this tactic does not depend on interest rates or the price of stocks and shares, it is considered quite secure by investors. However, it is not all good news when it comes to investing in property. One of the major factors that deters people from going down that route are the transaction costs. Buying property is expensive. Tax is also an issue as rental income is subject to income tax and capital gains tax is payable when the property is sold. In addition, people can be as unpredictable as the stock market so owners of buy-to-let properties are vulnerable to trouble from tenants. Even the nicest tenants leave eventually and sometimes they are not easy to replace. All these issues make investing in property an expensive and potentially risky venture. The flexibility of ISAs is what makes them appealing. Money can be added and withdrawn at any time with most schemes. As they are not, other than stocks and shares ISAs, subject to the whims of the stock market they are a low risk saving strategy. After retirement, an income can be drawn from the interest accrued on the fund or from the fund itself. The flexibility of ISAs is also what makes them risky. Personal discipline becomes an issue when the money can be accessed at any time and if investors choose to take money from the fund after they retire, they run the risk of it running out before they die. ISAs will also be taken into consideration if the owner becomes unemployed and applies for benefits adding to the risk of it being depleted early. As the automatic enrolment into company pensions scheme is rolled out, an increasing number of people are taking advantage of the bonuses offered. With employers and the government effectively doubling the amount the individual contributes, it is a very attractive scheme indeed. At the age of 55, people are able to take out 25% of this fund as a tax-free lump sum and the rest can be used to pay for an annuity. This money would not be taken into consideration when applying for benefits. Clearly, this is an advantageous scheme for employees but it still has its downsides. The main one being that, as pensions are vulnerable to stock market fluctuations, the money left at the end is sometimes not as much as retired people would like. Another issue is that this scheme is not available to the self employed. Pension contributions are entirely down to those individuals. Therefore, none of these retirement fund strategies are fool proof and being able to spread savings across them all would be the ideal solution. However, not everyone is fortunate enough to have sufficient funds to do this so it is left down to personal preference. Some people will prefer higher risk but potentially higher gain strategies whereas others will prefer to play it safe. Opting out of a company pension seems like a bad idea but supplementing it with an additional investment is wise indeed. Entry was postedon Saturday, April 5th, 2014 at 3:26 pm	under Investment Ideas Category.You can skip to the end and leave a response. Pinging is currently not allowed.